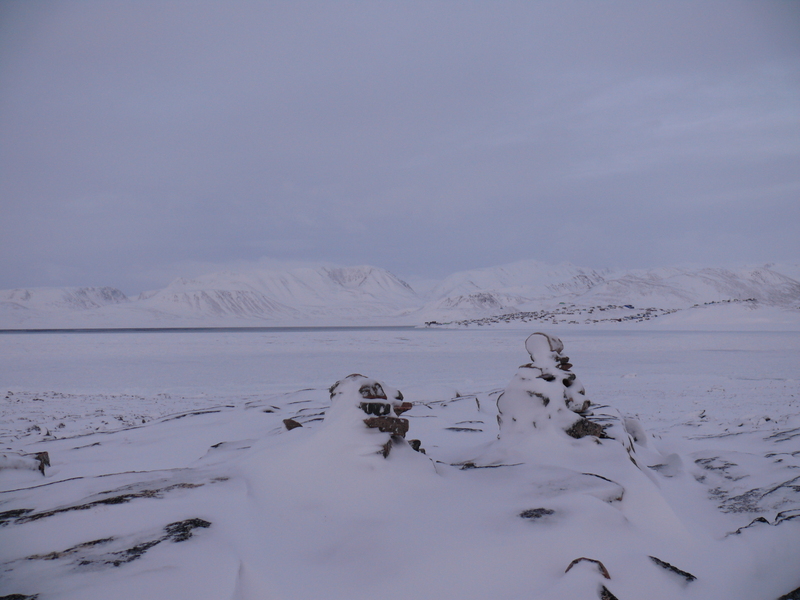 January 19th – the day of sunrise in Ittoqqortoormiit, this year was cloudy and bleak. Still, after days of blizzards, sitting inside the house, it felt wonderful to step outside and ski down onto the ice. 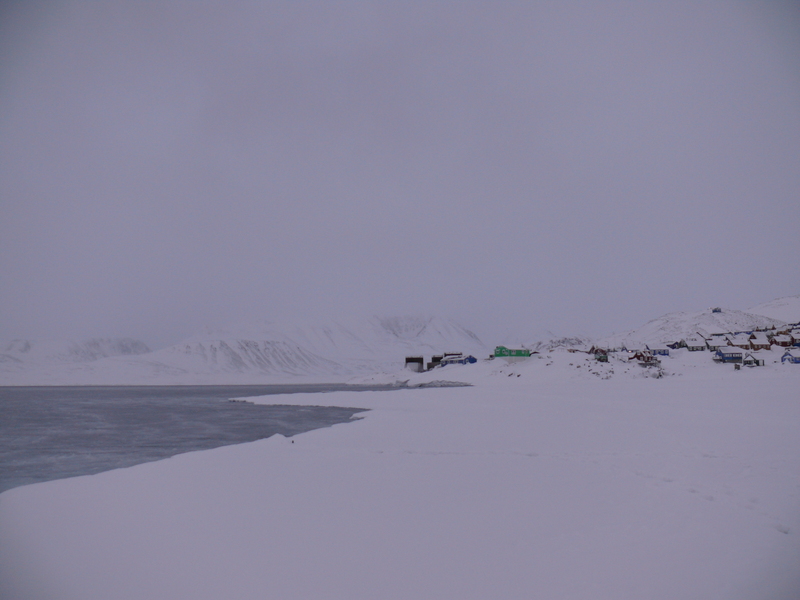 While I was standing on the sea-ice, school children gathered on a small hill (you can see them on this picture, not far from the green house) to welcome the sun – in case it would make its appearance! The sea ice broke of last weekend. 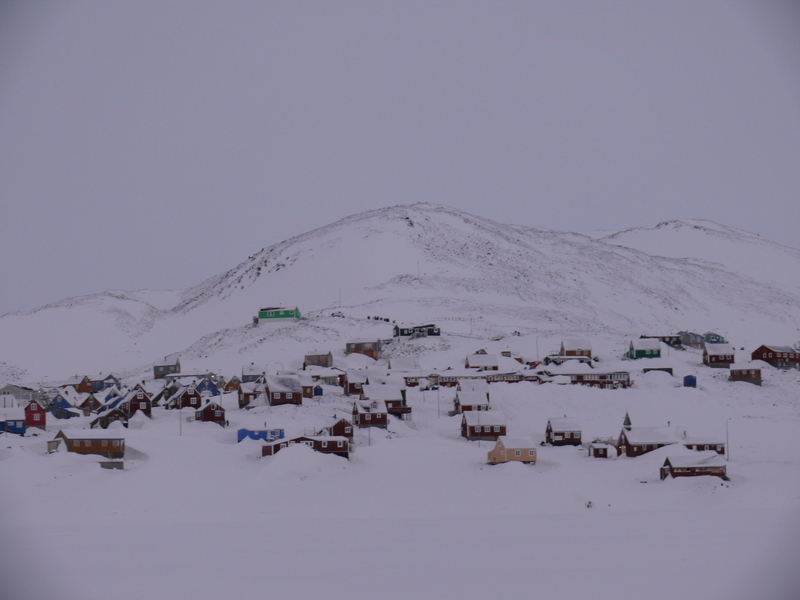 The storm left us with only a small patch of ice, just outside of Ittoqqortoormiit. 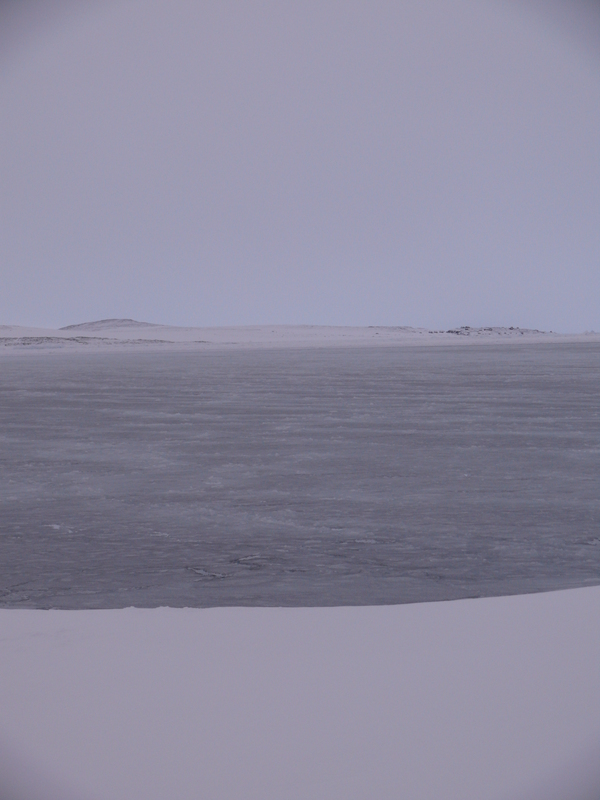 View from the ice edge towards Kap Tobin. I skied around the open water to the other side of Fox Havn, enjoying the beautiful scenery. Today, we are still waiting for the sun. Maybe we`ll catch a glimpse of it tomorrow!? So nice to see you post again! Isn’t that sea ice close to town usually frozen at this time of year? Good to hear from you! Yes, the sea ice is usually frozen solid in January. But not every year any more! At least since 2011 it has sometimes broken off during blizzards, in the beginning of the year. Not every year, though. We never know how it is going to end up. Reblogged this on Exceptional Delaware 2018. Definitely a sign of the times.